The “Weißblaue Flotte” offers various themed boat tours. 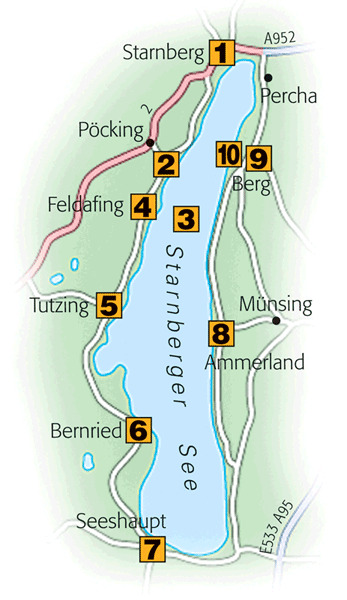 You can circumnavigate Starnberger See by car, bicycle, or on foot. The distance is 55 km (34 miles). 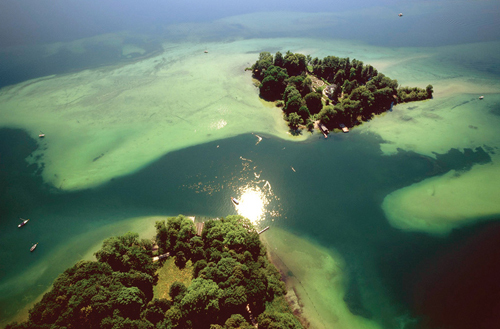 In good weather, hot-air balloon rides depart from Starnberg- Landstetten; for information call 0 81 57 91 04. In the 19th century, this former fishing village developed into a popular summer resort. Over the past decades, Munich’s elite has settled here, building on land that can make access to the lake difficult. A walk on the promenade is still a very pleasant experience and there is a good golf course not too far from the town. Possenhofen boasts a beautiful beach and many old villas. The castle Possenhofen, with its four battlement towers built in 1536 and reconstructed in the 17th century, was a refuge for Sisi – Empress Elisabeth. The fleet of the Bavarian Steamboat Company offers theme tours and excursions, as well as providing public transportation. A romantic destination for daytrips, this small island off the town of Feldafing was settled as far back as prehistoric times. In 1853 Peter J Lenné and Franz J Kreuter built a casino with a park and a formal rose garden on the island. 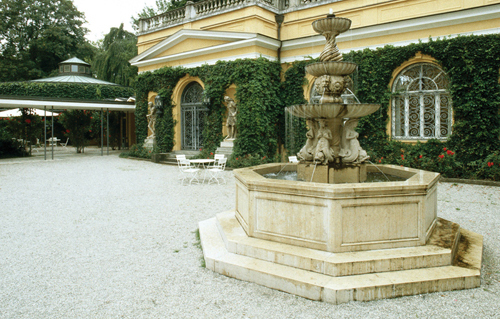 This horseshoe-shaped palace surrounded by a landscaped park is home to the Protestant Academy. 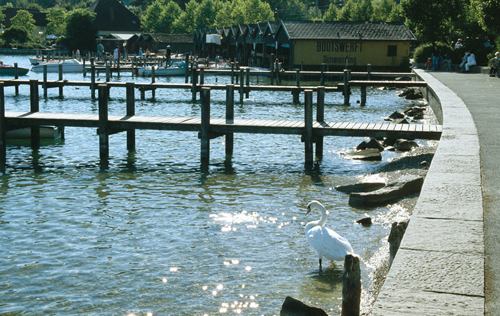 From Tutzing station, it is just a short walk to the Ilkahöhe and a restaurant of the same name. On clear days, the view of the Alps is magnificent. Nestled in a park north of Bernried, Buchheim Museum houses an impressive collection of Expressionist art as well as folklore and ethnological exhibits, more than 3,000 paperweights, African masks, and much more. 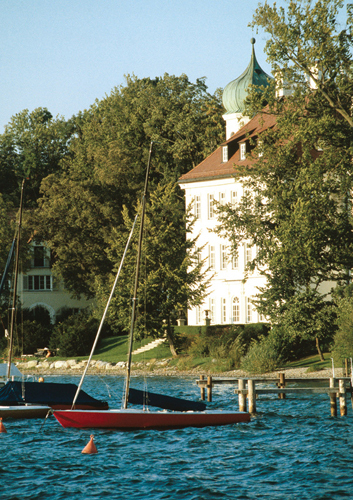 Attractively located at the southern tip of Lake Starnberg, with a harbour full of yachts and a lovely lakeside promenade, Seeshaupt has managed to preserve its rural character. From here, it is just a short trip to the Osterseen nature reserve. Berg is the birthplace of author Oskar Maria Graf. The palace served as the summer residence of the Wittelsbach dynasty and of Ludwig II, the fairy-tale king who died in the nearby lake. 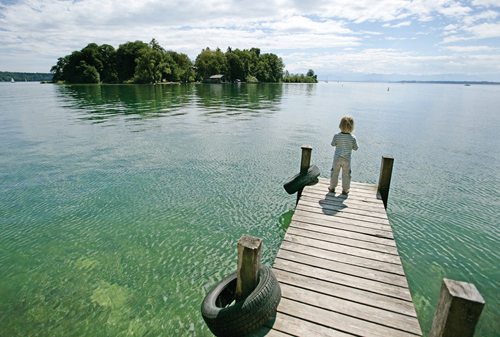 A cross on the shore of the lake marks the spot where Ludwig II was found dead in the water. Fans of the “Kini” meet here every year on the anniversary of his death.